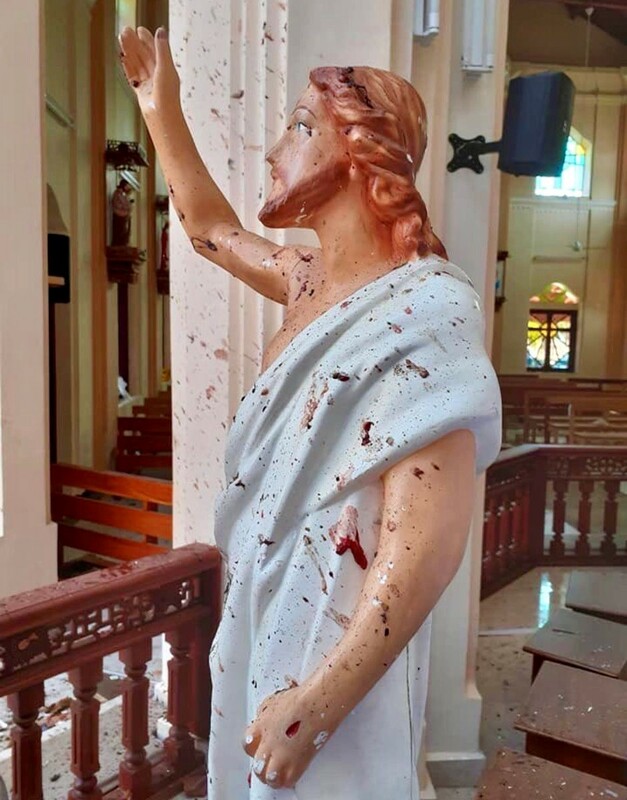 Easter Sunday’s glorious joy was soon subdued by the news of mass killings by terrorists in churches and luxury hotels in Sri Lanka. As suspected, we soon learned that the terrorists were militant jihadist Muslims. They primarily attacked Catholics worshiping at Easter Sunday Mass, killed approximately 300 people and wounded approximately 500 more. 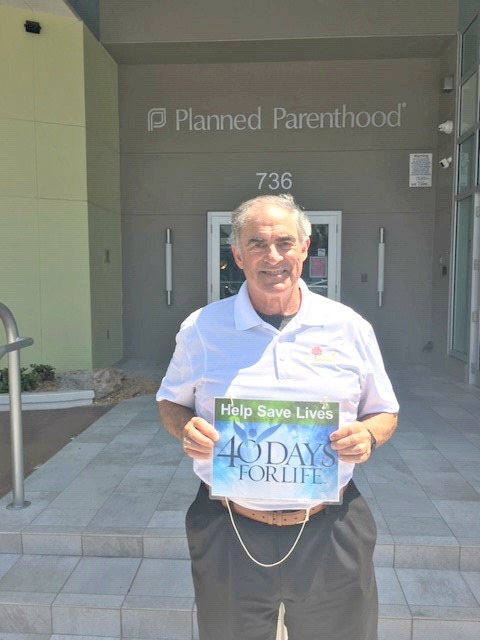 Recently, during the ongoing 40 Days for Life, and the playing of the movie Unplanned, I attended a Peaceful Prayer Presence at Planned Parenthood, praying the Rosary with my wife Sue (all photo credits to her, smile). This Planned Parenthood facility in Sarasota, Florida, is the largest in the state and kills 1000 unborn children each year. Located in the shadows of its turquoise wall sits the Community Pregnancy Clinic offering care, compassion and pro-life choices. It’s like David in the shadow of Goliath. The Feast of St. Joseph, Husband of the Blessed Virgin Mary, is celebrated on March 19. From Scripture we know that St. Joseph’s great virtue was his obedient faith. “He did as the angel of the Lord commanded him and took Mary as his wife.” (Mt. 1:24). He took her in the mystery of her motherhood and acted in obedient faith, as did Mary when she said, “Let it be done to me according to your word.” (Lk. 1:38). “Blessed are they who have not seen, yet have believed.” (Jn. 20:29). When Will I Reign in Your Heart? “Will you let me reign in your heart?” Jesus King of All Nations asks us. Jesus gives us the freedom to open or close the door of our hearts to Him. Jesus said in the Book of Revelation, “Here I stand, knocking at the door. Whoever hears me calling and opens the door, I will enter their house, have supper with them and they with me." (Revelation 3:20). 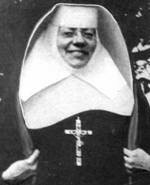 March 3 is the feast of one of our saints of the states, St. Katharine Drexel. Let our nation turn its lonely eyes to her for courage and hope. 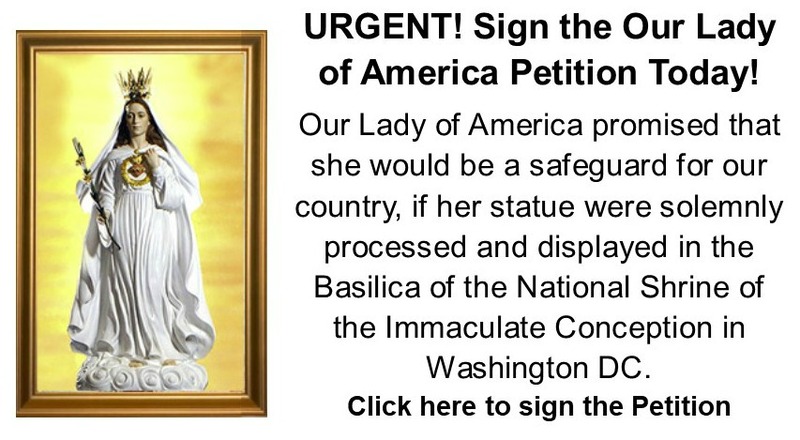 Our Lady of America gave young people a reason to live. 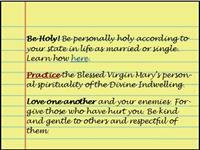 She asked them to be pure and wants them to study and live the spirituality of the Divine Indwelling. She also said that the youth of America would bring conversion to the world as “Torchbearers of the Queen”. In this present darkness, Jesus King of All Nations is shining his light on the sins of some of his ministers, those cardinals, bishops and priests who are or were practicing homosexuals, enablers of practicing homosexuals, homosexual abusers or enablers of homosexual abusers. 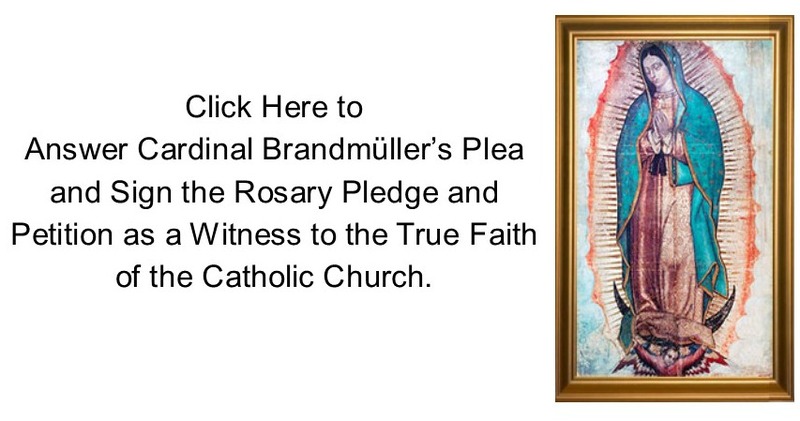 German Cardinal Walter Brandmuller wrote an article published in last November’s edition of the German monthly Vatican Magazin. (Source). He wrote, “The homosexual crisis among clergy is almost epidemic”, similar to the crisis in the Church in the 11th and 12th centuries. He referred to the time when Saint Peter Damien delivered an address in 1049 to Pope Leo IX in an appeal to save the Church from the “sodomitic filth" that insinuates itself like a cancer in the ecclesial order, or rather like a blood thirsty beast through the flock of Christ.” The "sodomitic filth" was a reference to the book of Genesis that tells the story of Sodom and Gomorrah, the two cities that God destroyed with fire on account of their homosexual sins. 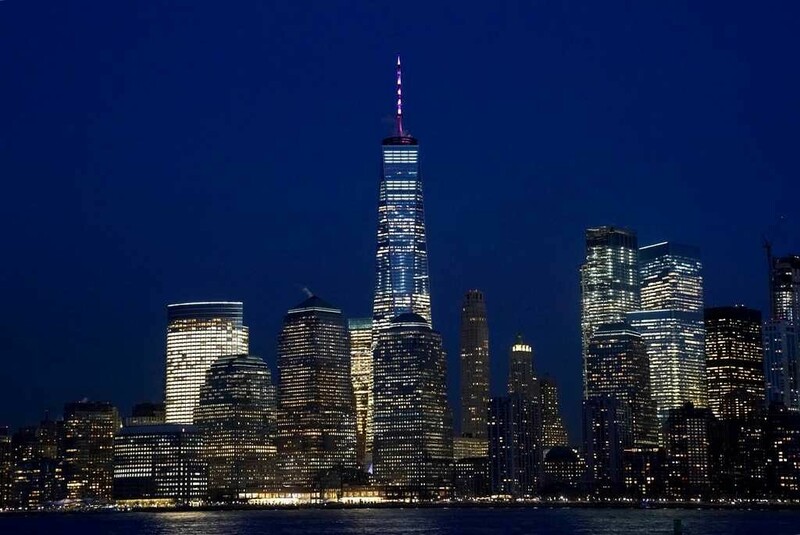 Will the Freedom Tower Fall? Peter and Frances Behrens, of Melbourne, Florida, Guardians of the Visitation Image of Jesus King of All Nations, reported that the Image manifested Holy Glitter that appeared on it at a prayer meeting. Curiously, it appeared only on his flesh, his wounds and his Sacred Heart in the Image and nothing else. This excludes the idea that commercial glitter might have been thrown by someone at the Image. Had that been the case, the glitter would have appeared randomly all over the Image and not only neatly within the flesh, wounds and the Sacred Heart of Jesus. Moreover, when the Holy Glitter was touched with one finger, it did not stick to the finger as does commercial glitter. 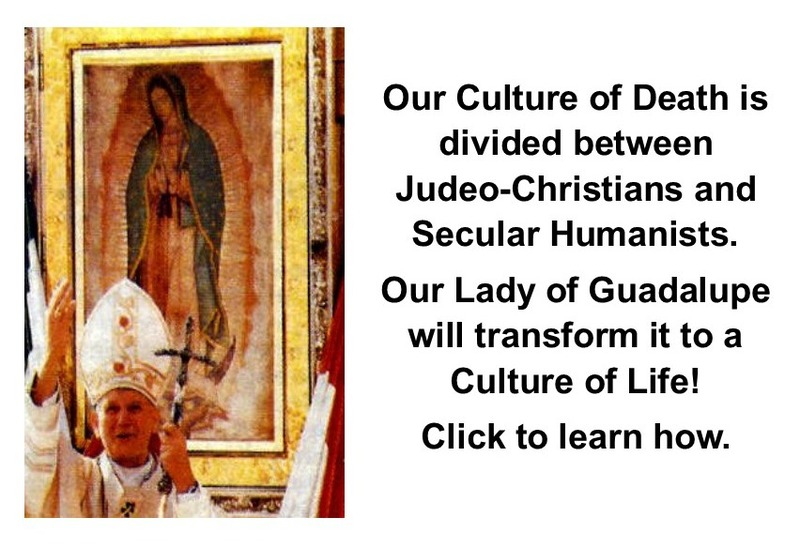 Here at Dan Lynch Apostolates, our mission is simple: to bring conversions and a Culture of Life and Civilization of Love, for which St. John Paul II prayed. 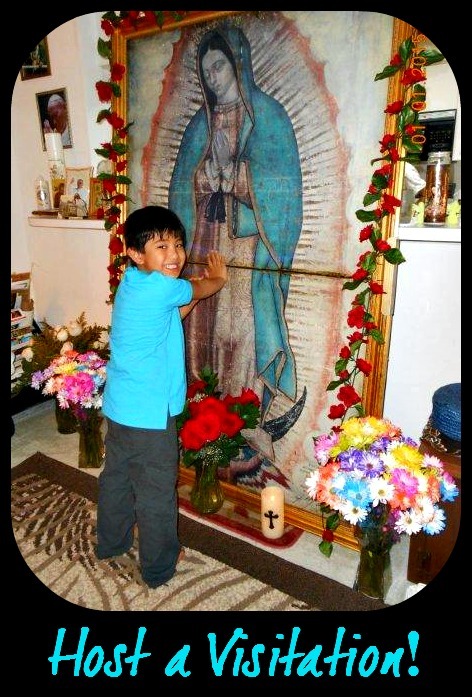 We do that in a very unique and special way through promoting devotion to Our Lady Guadalupe, to Our Lady of America, to Jesus King of All Nations and by coordinating Visitations of their images and devotion to St. John Paul II. Servant of God, Sister Thea Bowman, F.S.P.A. (Franciscan Sisters of Perpetual Adoration), addressed the US Bishops at their annual meeting held in 1989. Sister Thea, the granddaughter of a slave, was born in 1937 and decided to become a Catholic at the age of nine. A few years later, she asked to join the Franciscan Sisters of Perpetual Adoration and became the first African-American member of the Order. There are so many recent mass shootings in the United States that most people cannot keep track of them. A mass shooting is defined as four or more people shot. In 2018 there have been 307 mass shootings. 12 of these mass shootings have occurred since the one in the Pittsburgh synagogue on October 27. In less than 3 weeks, 12 mass shootings have left 79 shot of whom 23 were killed. Padre Pio (1887–1968) was an Italian priest and the first stigmatist priest in the world. Unfortunately, he suffered under obedience to a homosexual bishop and under clerical homosexual corruption in his diocese that went as high up as the Vatican. His secret weapon against this was personal holiness. As a member of the lay faithful, you are called by your Baptism to be an apostle to bring the Gospel message into the temporal realities of the world such as your family, neighborhood, work, parish, culture, the media, politics, sports, etc.